Home / Preg-U / Science / Fact Check / Geriatric Pregnancy – Why the Name Calling? Geriatric Pregnancy - Why the Name Calling? Previous: Will You Recognize the Signs of Labor? Next: Delayed Cord Clamping and the Benefits of Patience. It’s hard to escape the warnings about your pregnancy being at “high risk” for complications, such as birth defects, high blood pressure, and diabetes just because you passed a certain age bracket. But does your age actually classify you as a disaster-in-waiting? Yes, certain pregnancy-related complications are more common among women over 35. BUT, most are unlikely. “High risk” in medical lingo means higher risk than women giving birth in their late 20s and early 30s. It does not mean the chances of these risks are actually what anyone would call high. Yes, your pregnancy is “high risk”, but that doesn’t mean your risk is high. Talking about the risks of pregnancy over 35 without mentioning how likely they are makes them sound far more scary than they need to be, so let’s unmask these bogeymen. At 35, a woman’s risk of carrying a baby with a genetic disorder is 1 in 192. By 40, the chances rise to 1 in 66. While this is a big relative rise, the absolute risk remains small. At age 40, over 98% of pregnancies are genetically normal. Chromosomal abnormalities are the root cause of most miscarriages. Since older eggs are more likely to have chromosomal abnormalities, aging moms are more likely to miscarry. 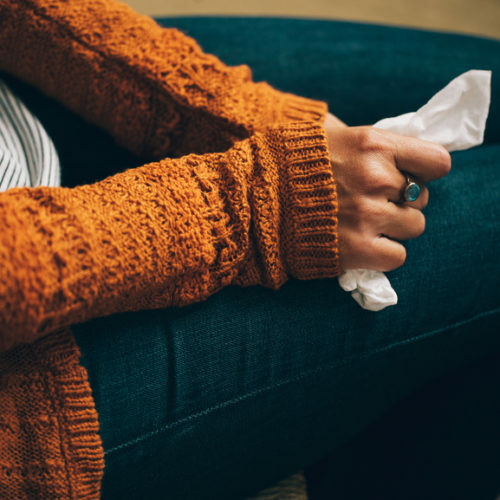 At 35, about 25% of pregnancies end in miscarriage. At 40, this climbs to 35-40%. 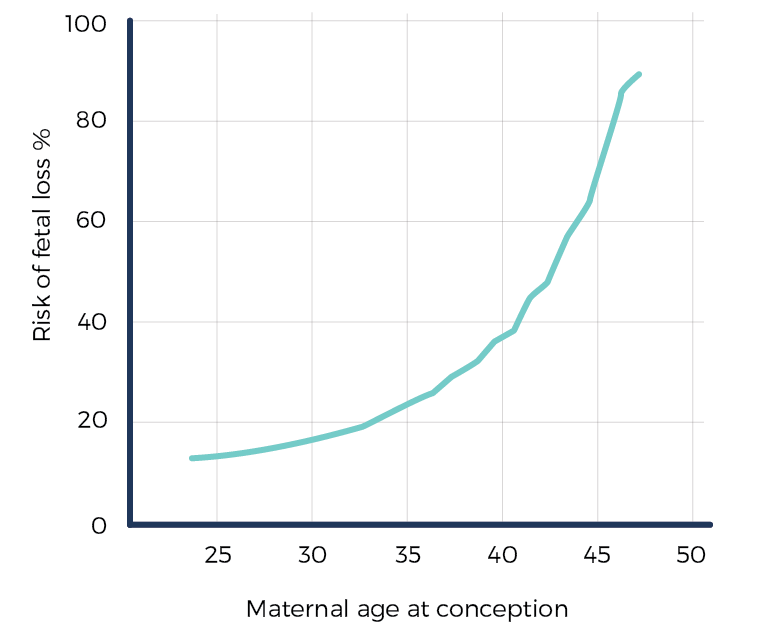 Below is the risk of miscarriage by age in the largest of its kind, population wide study of Danish women . Data from large U.S.-based studies and from fertility clinics show similar trends. Fortunately, the risk of miscarriage drops substantially after 12 weeks. So after the first trimester, you can rest a bit easier. Age is the biggest risk factor for gestational diabetes, defined as glucose intolerance that starts during pregnancy. The rate climbs from 2.9% (under 35) to , 5.3% (35-39), to 7.9% in 40+. Gestational diabetes is more common among women of Hispanic and Asian ancestry. But while their overall risk is higher than that of Caucasian women, it does not rise as much with age. Preeclampsia, affects anywhere from 3-4% of pregnancies in the United States. This pregnancy-specific condition, characterized by high blood pressure and protein in the urine is most common in first pregnancies. Although its causes are not completely understood, inadequate blood flow across the placenta early in pregnancy appears to play a role in its development. Preeclampsia is serious. Untreated, it can lead to seizures, liver dysfunction, and strokes. Women in their late 30s and early 40s have a 1.5-2 fold higher risk of preeclampsia than younger women. Remember, though, this is a 1.5-2x increase of the 3-4% risk, meaning the risk remains fairly low. Women in their late 30s have an 11-14 in 1000 risk of stillbirth, or just over 1%. Women in their 40s have a slightly higher risk, between 1-2% or 11-21 in 1000. Since stillbirth risk rises during the final weeks of pregnancy, doctors tend to express more concern as women go post-dates . They become even more concerned about going post-dates when a woman is older, because she has a higher risk than younger women. 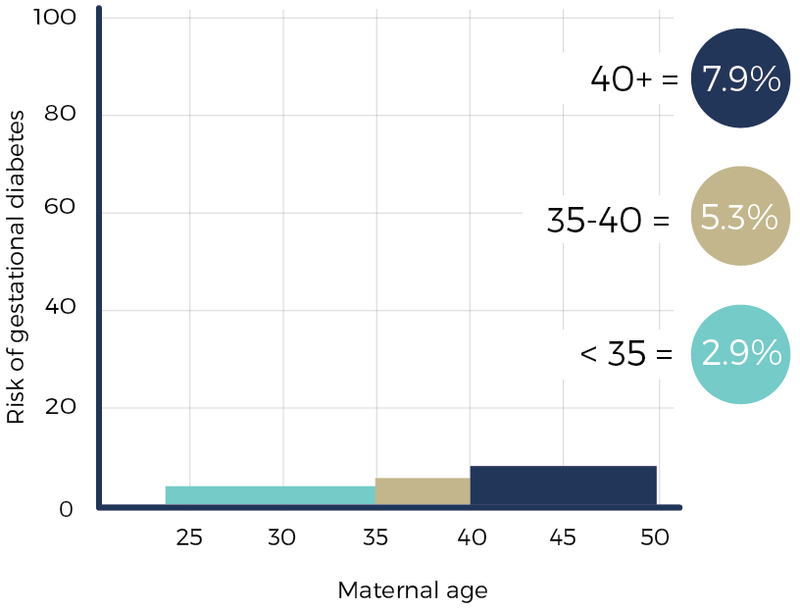 For a woman over 40, her risk of stillbirth at 39 weeks is the similar to that of women in their late 20s at 42 weeks. 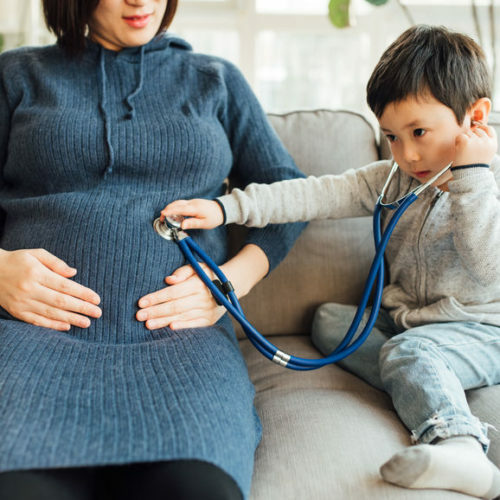 For this reason, your doctor will keep a close eye on your pregnancy towards the later weeks and may recommend inducing labor by 40 or 41 weeks. But, as with all the aforementioned risks, the vast majority, 98-99%, of these pregnancies, do not end in stillbirth. For women in their early 40s, the picture is a bit more complicated, but still largely reassuring. 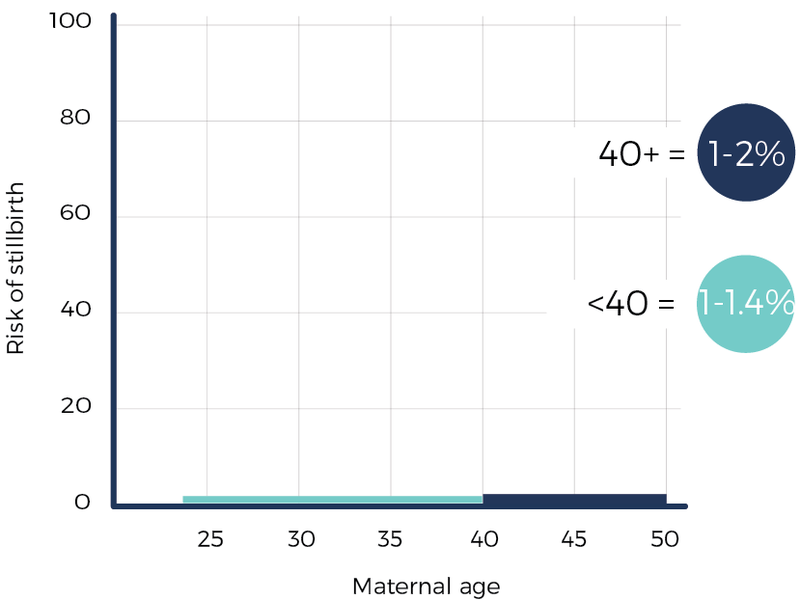 Some large studies find that preterm birth is no more likely after age 40 , while others, like the QUAISMA study, a large Canadian trial of over 180,000 births find a small uptick in preterm birth after age 40, but this was mainly due to medical inductions, not spontaneous labor . Perhaps most reassuringly, the rate of very early births, before 32 weeks, which carry the most severe health complications, remains quite low . Unlike the aforementioned risks, C-sections are common and the chance of having one skyrockets with age. 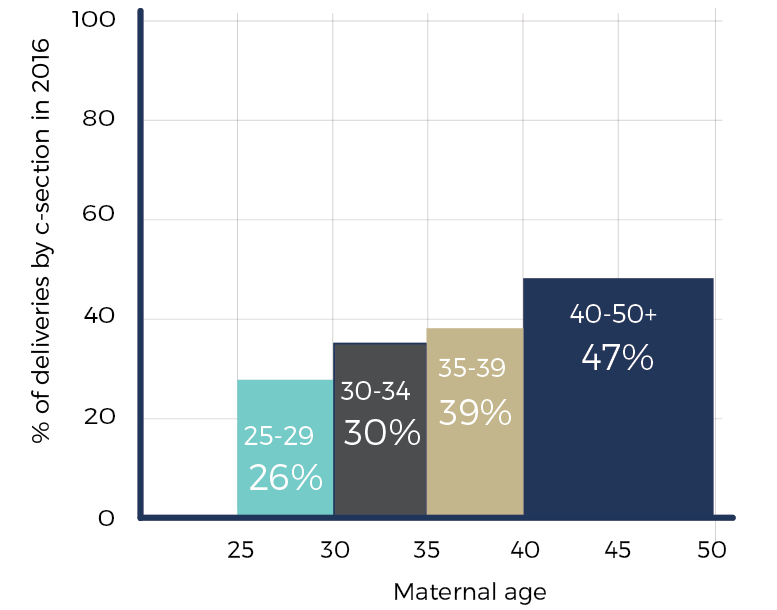 The overall rate of C-sections in the United States is high – 32% of all deliveries, but it is especially high in your late 30s and early 40s. Women over 35 are more likely to have a C-section in part because they are more likely to have had a prior C-section. But they are also at higher risk of a first-time C-section. Women over 35 are at higher risk of a first-time C-section. 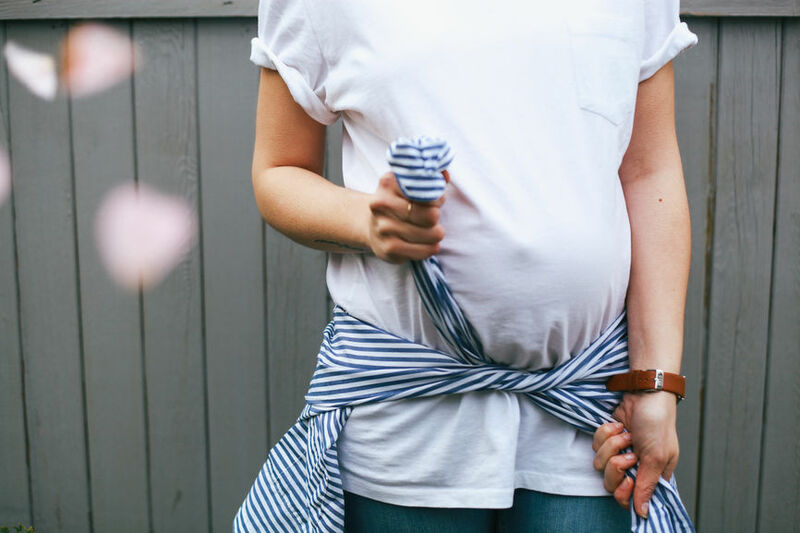 BUT the issue may be age-related pregnancy management: labor induction is more common among women classified with geriatric pregnancy and it is the induction that raises the chances of a C-section in these women. Please do not feel overwhelmed by this laundry list of risks if you’ve been labeled a geriatric pregnancy. 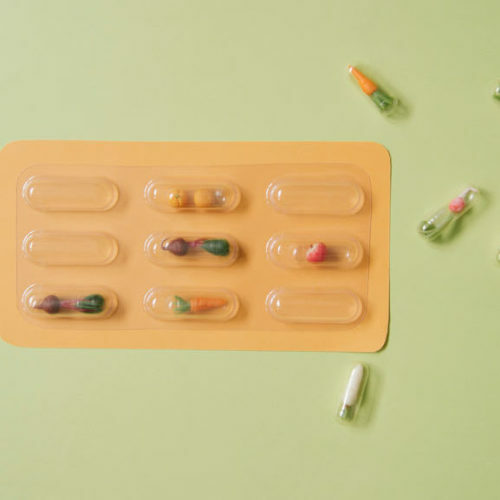 have well-managed pre-existing chronic diseases like high blood pressures or diabetes and pregnancy-induced complications like gestational diabetes and hypertension. 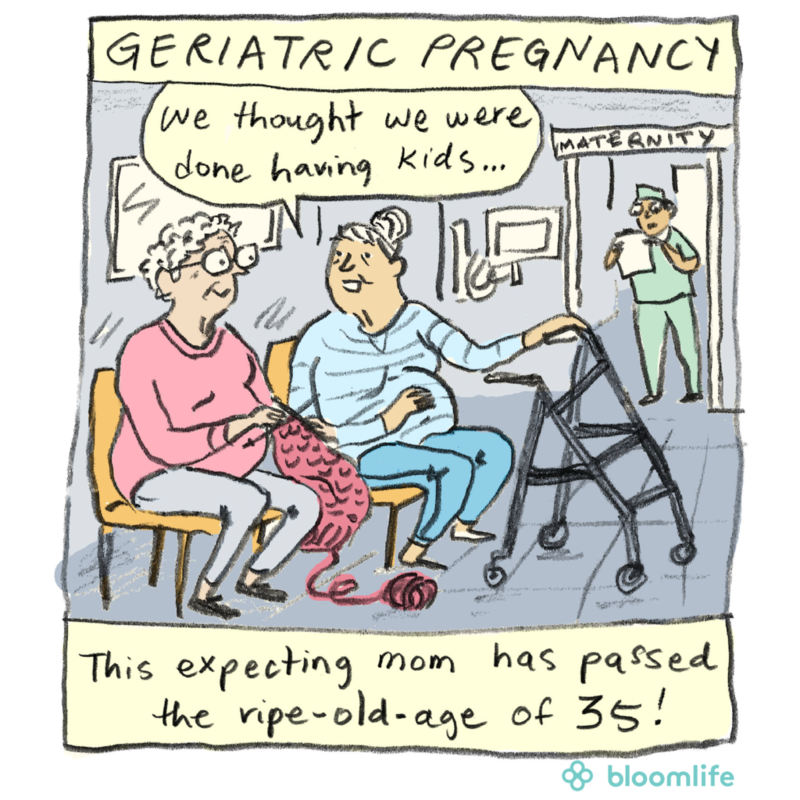 In short, while careful management is warranted, panic about your so-called geriatric pregnancy is not. Nybo Andersen AM, Wohlfahrt J, Christens P, Olsen J, Melbye M. Maternal age and fetal loss: population based register linkage study. BMJ. 2000;320: 1708–1712. Lean SC, Heazell AEP, Dilworth MR, Mills TA, Jones RL. Placental Dysfunction Underlies Increased Risk of Fetal Growth Restriction and Stillbirth in Advanced Maternal Age Women. Sci Rep. 2017;7: 9677. Lean SC, Derricott H, Jones RL, Heazell AEP. Advanced maternal age and adverse pregnancy outcomes: A systematic review and meta-analysis. PLoS One. 2017;12: e0186287. Goisis A, Remes H, Barclay K, Martikainen P, Myrskylä M. Advanced Maternal Age and the Risk of Low Birth Weight and Preterm Delivery: a Within-Family Analysis Using Finnish Population Registers. Am J Epidemiol. 2017;186: 1219–1226. Dietl A, Cupisti S, Beckmann MW, Schwab M, Zollner U. Pregnancy and Obstetrical Outcomes in Women Over 40 Years of Age. Geburtshilfe Frauenheilkd. 2015;75: 827–832. 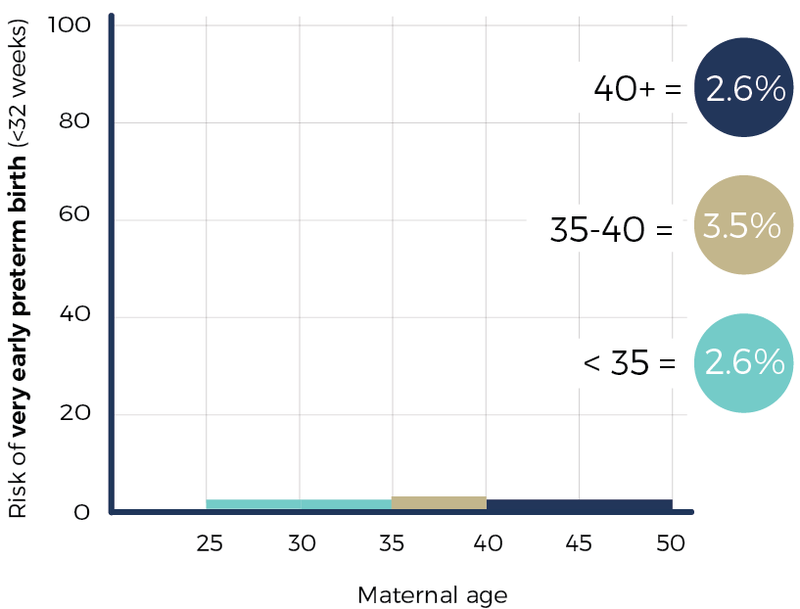 Fuchs F, Monet B, Ducruet T, Chaillet N, Audibert F. Effect of maternal age on the risk of preterm birth: A large cohort study. PLoS One. 2018;13: e0191002. Dunn L, Kumar S, Beckmann M. Maternal age is a risk factor for caesarean section following induction of labour. Aust N Z J Obstet Gynaecol. 2017;57: 426–431.